Although flood coolants have been traditionally used in many machining operations, the concept of minimum-quantity lubrication (MQL) has been gaining momentum with manufacturers over the last few years. For example, the Japanese automotive manufacturer Mazda’s brochures place significant emphasis on its semi-dry machining process, highlighting an 84% reduction in the amount of coolant required, a 40% reduction in electricity consumption on its machining lines, and an 80% cut in waste fluids. MQL was initially used for machining applications in the automotive sector and in aluminium foundries, but interest in it is now more widespread, with manufacturers in the aerospace supply chain also looking at it as a means of boosting productivity levels. MQL — also known as near-dry machining — is now an alternative to flood coolant for many applications. It uses a minute amount of high-efficiency lubricant applied precisely to the cutting tool/workpiece interface. The process has proved effective for machining all non-ferrous metals and most grades of steel. Moreover, its future application is being researched by a number of cutting-tool specialists working in close co-operation with customers. One of these specialists is Seco Tools (UK) Ltd (www.secotools.com). David Pearson, the company’s business development manager (aerospace), says: “MQL is different from traditional cooling and lubricating methods; as a consequence, it has been slow to gain acceptance. Machine tool builders and precision component manufacturers are accustomed to the way things have always been done, which is why the initial acceptance of MQL was in those sectors where flood coolant simply wasn’t feasible; and while attitudes are changing, there are still some industry reservations. “However, after extensive trialling and development — notably in the aerospace sector, where there is constant pressure to increase productivity levels — MQL is gaining wider acceptance. MQL systems that allow faster cutting speeds, combined with environmental considerations and significant reductions in coolant costs, mean that MQL’s future is assured. The many advantages that MQL has over traditional flood coolant systems include: increased cutting-tool life (owing to reduced friction) that can range from 25 to 200%, depending on the application, material and type of cutter; shorter production times due to the higher feed rates that MQL allows (depending on the materials and processes used, feeds can be 25-100% faster); clean and nearly dry chips that require no subsequent processing and have a greater recycling value; and reduced costs and time required for treating and replacing old coolant. Other benefits include eliminating: the costs associated with the disposal of old coolant; the need for coolant skimmers; and coolant testing. MQL also makes for a cleaner and safer work area — plus it leaves machined parts clean and coated with a light film of protective oil. Moreover, the fluid itself is 100% bio-degradable and is consumed in the process. There are many ancillary costs associated with the use of flood coolant, which normally comprise 15-18% of the manufacturing cost of machined parts. Switching to MQL can typically reduce the cost to around 5%, while at the same time increasing tool life and allowing higher feed rates to be used. The most commonly used fluids for MQL are vegetable-oil derivatives that exhibit good friction-reducing properties. Unlike mineral-based fluids and synthetic fluids, vegetable-based fluids bond more effectively with the surface of metals, providing superior lubrication. When correctly applied, they reduce the friction and the corresponding heat created when the cut metal slides over the cutting tool before breaking off and becoming a chip. Reducing that friction not only extends tool life but also eliminates the need for cooling the tool with flood coolant. CNC routers are also commonly equipped with MQL systems due to their open-bed design. Those that are not equipped with MQL by the manufacturer are typically sold without any cutter lubrication system and are intended to run dry. 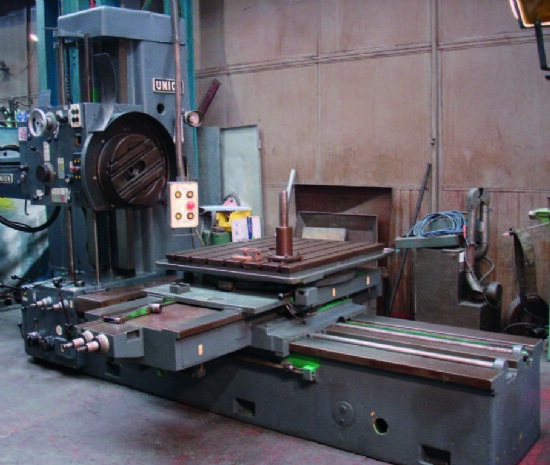 These machines can easily be retro-fitted with a single-nozzle MQL system, where the nozzle is mounted to the gantry and aimed down at the tool’s cutting edge. Feed rates can be increased by up to 50%, and surface finishes are improved as a result of more-consistent lubrication during the cut; and because MQL allows cutters to last two- to four-times longer, a significant amount of down-time for tool changes is eliminated. MQL has been widely accepted by the aerospace industry, particularly for large gantry-type mills used to machine spars out of solid aluminium. Here, one or two external nozzles apply small amounts of lubricant, while integrated vacuum systems evacuate the chips. MQL has also proved to be effective when used with portable positive-feed drills of the type that are mounted in the large fixtures used to drill and ream holes in aircraft spars and fuselages. The drills are typically equipped with through-coolant tools that direct fluid to the cutting edge. Minimum-quantity lubrication can also be effective on CNC lathes and turning centres, but the ease of application depends on the design of the machine — and in particular that of its turret. The best way to supply MQL to lathes and turning centres is through the same fluid path that is used to bring flood coolant to the turret. A single-outlet MQL system is typical, but the oil is not mixed with the air until it is as close to the turret as physically possible. At this point, the oil is mixed with the air to create a mist that is carried through the turret passages. This mist can be directed to the tools externally through small stainless-steel nozzles, or internally through boring bars or modified tool-holders. During turning operations, the tool is ‘submerged’ in the workpiece material for significant periods of time. As a result, it is often more effective to apply the lubricant to the back side of an insert, where a proportion of it will migrate to the cutting edge and some of it will adhere to the workpiece until it meets the cutter on the next revolution. Because chips fall away from the cutter/workpiece interface on turning centres, there is no need for coolant to help evacuate chips. Vertical machining centres pose one of the bigger challenges when converting to MQL, because chips tend to accumulate on the workpiece. There are two ways to apply the lubricant to the cutting tool on VMCs: internally through the spindle, when using through-coolant tools; or externally with a nozzle, when the tools are too small for oil holes or where the machine is not equipped for through-spindle fluid application. The preferred method is through the spindle, because it directs the fluid to the cutting edges, while the fluid-carrying air blows the chips from the cutting area, preventing them from being re-cut.